Just like your car needs regular servicing to maintain its optimal performance, so your teeth need regular active maintenance dental check-ups and ongoing, long-term dental care, to ensure optimal performance. This helps ensure that your teeth and gums remain healthy, allowing you to chew a steak without concern, smile with confidence and always make a great first impression. The bacteria that live inside your mouth are constantly growing and producing acids and irritants that cause everything from tooth decay, right through to serious gum disease. As such, it’s essential that you’re proactive with your dental hygiene. These bacteria and irritants also travel to other parts of the body and cause inflammation. This inflammation is why keeping a healthy mouth can improve the overall health of your body. Performing regular saliva tests and bacterial tests help to monitor the acidity and protection from decay that your resting saliva is achieving. This helps to predict your future decay rate. Also this knowledge allows us to tailor a preventive treatment plan to stop you hearing and feeling the dreaded dental drill! Here at Lifetime Holistic Dental, we recommend you book in for six-monthly Active Maintenance appointments. During these appointments at our Holistic dental clinic, we’ll check for any early signs of tooth decay and gum infection and initiate simple preventive care. 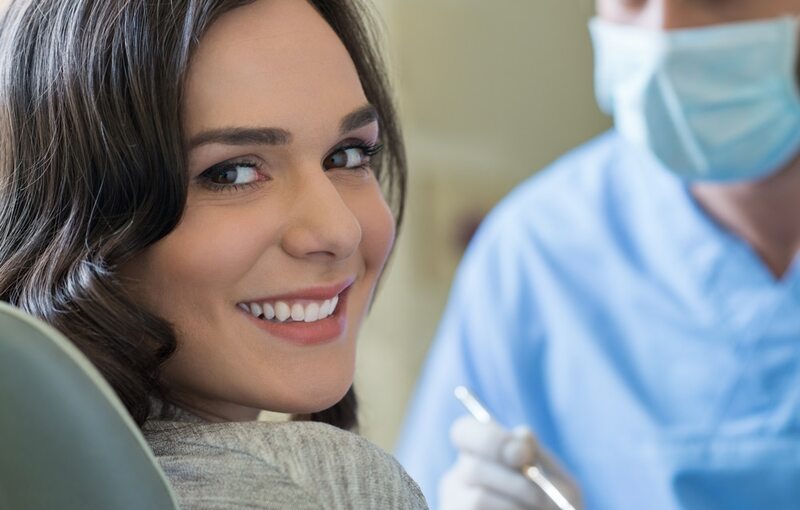 Attending regular active maintenance appointments, gives you the best chance to act before infection takes hold and becomes irreversible and your dentist shouldn’t need to say –“ you just need 3 fillings”. Our active maintenance appointments are a vital aspect of our holistic dentistry philosophy. They include any combination of the following. Your past and present medical and dental histories help us to understand if there are any outside influences to you achieving optimal dental health, and any repetitive events or habits that need modifying. By staying abreast of any changes in your condition, with a particular focus on medications, we are able to check the health of your saliva and its ability to help prevent dental infections. Over 300 types of medications can promote tooth decay, due to their effect on salivary flow, so we need to know what you’re taking, both prescribed, over the counter and recreationally. This step is vital. A thorough examination of your teeth, gums, jaw joints and overall mouth structure is the best oral health check. We also check for signs of oral cancer. If oral cancer is not found early, the survival rate is very poor. We also check for common dental issues, ranging from worn, decayed and cracked teeth, to gum disease and even signs of snoring and sleep apnoea. We usually take some X-rays (see X-ray safety below) and in the mouth photos, of things that we need you to make a decision on what to do. Cavities between teeth, under gums and around old fillings and crowns. Bone loss or rot caused by gum disease. Blocked or crooked tooth root that need special care. Infections on the end of the root of teeth often associated with deep cavities. Extra teeth and missing teeth. Bone volume and quality for implants. As holistic dentists, we are committed to using a natural, safe approach wherever possible. Digital X-rays help us achieve this. Digital X-Rays reduce radiation exposure compared with old analogue X-Rays, while still helping us diagnose dental disease much earlier and comprehensively. We take this very seriously. We are often asked about X-Ray dose and the potential damage of the X-Rays we take. When we assess X-Ray dose we compare the dose to the normal background radiation that we experience from say, walking our dog in the park, or flying in an aeroplane. Walking around all the time we are exposed to background radiation and a normal dose in Melbourne is 500 to 2000 units (units = microseverts). We have different types of X-rays. The little X-rays we place inside your mouth are called Periapicals or Bitewing X-rays are 1 microsevert X-ray dose. The annual allowable safe dose for all of us is 1500 microseverts above normal back ground dose. So normally taking 2 bitewings annually and an OPG every 5 years will add up to 4 units of radiation a year. We find this information helps patients to relax and feel more calm about having the X-rays in their mouth. Once we have gathered all the relevant information, we present the photos, X-rays and our clinical findings to you. We then discuss the different options of the problems we find in your mouth and jaws, and detail the pros, cons, risks and costs of each options. That way you will feel empowered and knowledgeable to choose the right treatment choice for you. We will give you all the information you need to make an informed choice on your treatments. You’ll love how fresh and clean your teeth feel after our professional clean at Lifetime Holistic Dental. Our hygienists remove all the bacteria, plaque and tartar your toothbrush and floss just can’t dislodge. Removing the bacterial plaque is essential, as if left unchecked, the bacteria build up and cause tooth decay and gum infections, which causes bone and tooth loss. A regular professional clean can also prevent the need for a painful ‘deep clean,’ which requires a strong local anaesthetic. Being a holistic dentist, dental care is all about being a source of information. We want to arm you with the common and not so common knowledge you need to take control of your oral hygiene. After each active maintenance visit, you’ll be provided with a take home pack, full of oral health maintenance essentials. Why Choose Our Regular Active Maintenance Dental Check-Ups? Bring the whole family and benefit from a dentist that knows your medical and dental history and can help guide you to the best choices to maintain your dental health and general health, without needless cost and time.